Imanta Resorts Punta de Mita recently received an exceptional accolade awarded to only three other hotels in all of Mexico. This merely serves to confirm the Riviera Nayarit as a top luxury beach destination unlike any other. 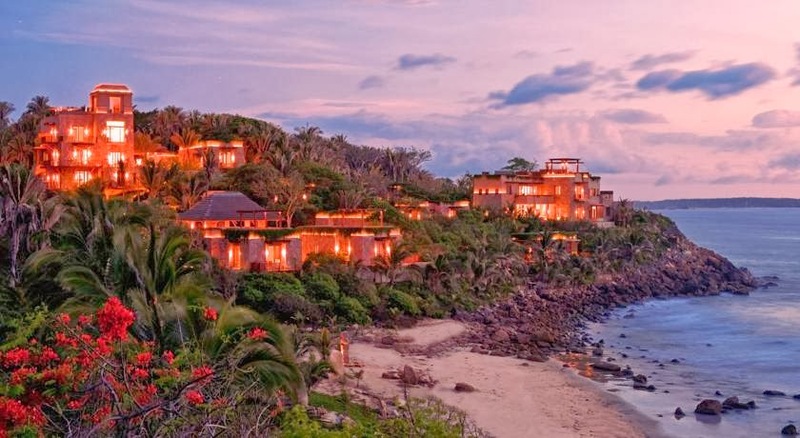 Imanta Resorts Punta de Mita was recently welcomed into the exclusive luxury hotel group that is Relais & Chateaux. There are only four hotels in Mexico to have received this honor, now including the Riviera Nayarit. Relais & Chateaux is a prestigious global group of luxury hotels and restaurants. It encompasses over 500 properties in 60 countries over the five continents. Strongly represented in Europe, the association is growing in North America and Asia. In addition to luxurious facilities, members must have special features distinguishing them from chain hotels. Most of them are historic landmarks such as castles, manor houses or townhouses in idyllic settings and offering exquisite cuisine. The Riviera Nayarit Convention and Visitors Bureau (CVB) organized a FAM trip in February with four influential journalists that collaborate with the luxury segments in important international tourism media. These included Travel + Leisure, The Robb Report, the BBC, Harper’s Bazaar, Departures, Organic Spa Magazine, Newsweek’s Daily Best and Lifestyle Mirror, among others. They were able to experience firsthand how the integration of Imanta Resorts Punta de Mita into this high-level international group confirmed that the Riviera Nayarit is a luxury beach destination par excellence. The public relations office of the Riviera Nayarit CVB organized the FAM trip. They also enjoyed whale watching and a visit to the Marietas Islands, Sayulita, San Pancho and Punta de Mita. The main objective is to holistically strengthen the Premium segment for the destination.